On Saturday mornings, Libby and I would take our dog Soon­Dae and the camera and walk to the local park. We would often be pleasantly surprised by the people we’d meet or activities we would come across. On this particular day we met an Ecuadorian bartender who was training for the world championship of “flair bartending” in Las Vegas. This involves juggling bar tools, shakers and liquor bottles creatively (think Tom Cruise in Cocktail). After asking permission, I spent an hour or so photographing him practicing. In the end, we had a wonderful conversation and I gave him the images to use for his promotional materials and website. 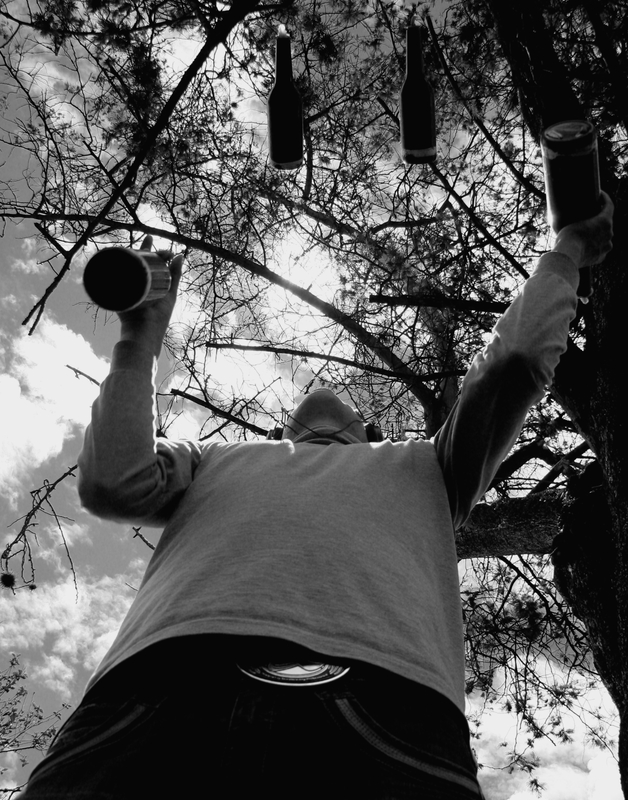 To capture this image I lay on my back at the bartender’s feet, with my camera lens facing up ­ trusting, or hoping, he would catch all the bottles in time.